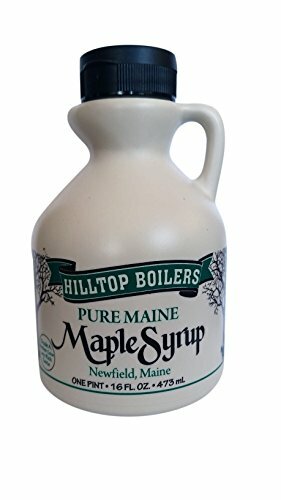 Hilltop Boilers produces this delicious, pure & organic syrup packaged in a beautiful maple shaped glass bottle. This 8.45 ounce bottle is perfect as a gift, table setting, house warming gift or as a treat for yourself. This is multi-year "Best of Maine" award winner. 100% pure, made in the State of Maine. 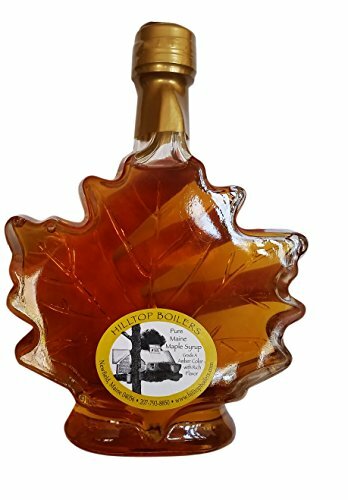 This is Grade A Amber syrup with rich maple flavor.